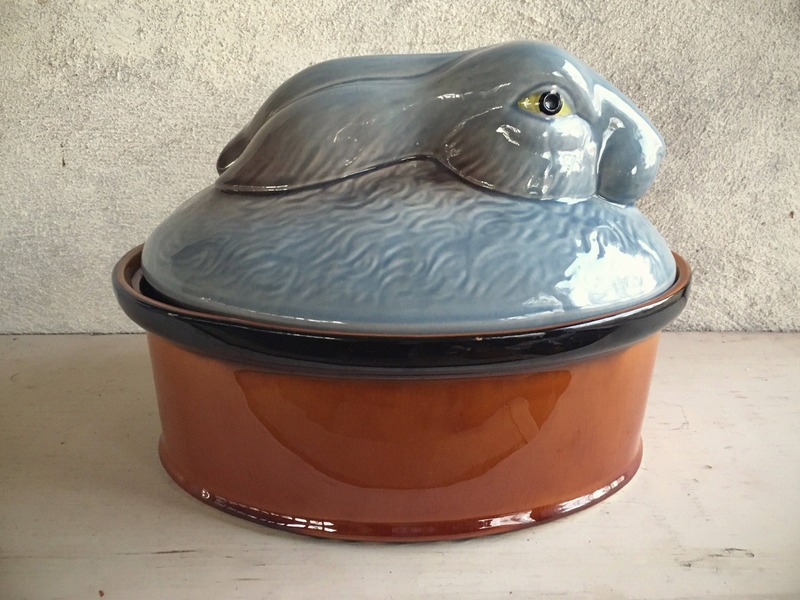 This large tureen is quite wonderful. 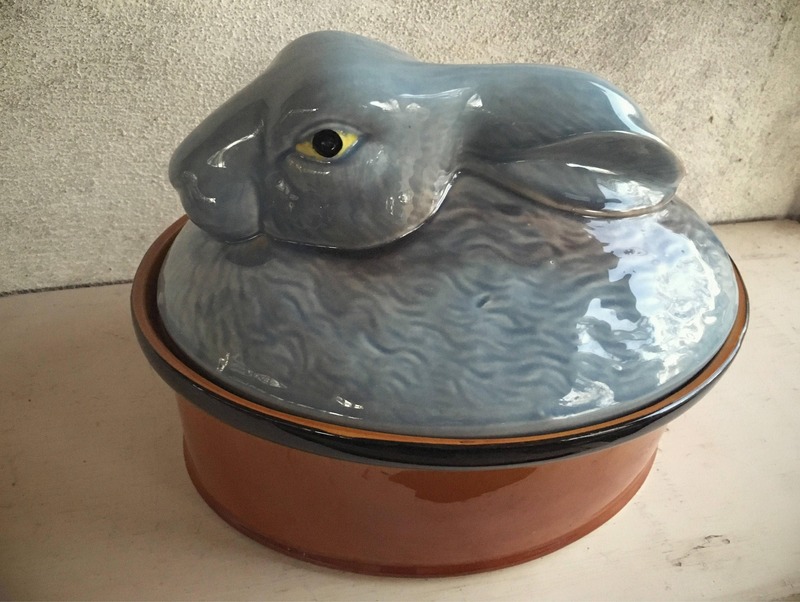 Typical of Italian Majolica, as well as French, the rabbit tureen was used for pate or terrine. The colors are exquisite--the rabbit a glazed gray color reminiscent of the gray hare. And the base contrasts beautiful in a bronze like golden color. Great detail that captures exactly that pensive and sensing rabbit, making sure no predator is around. 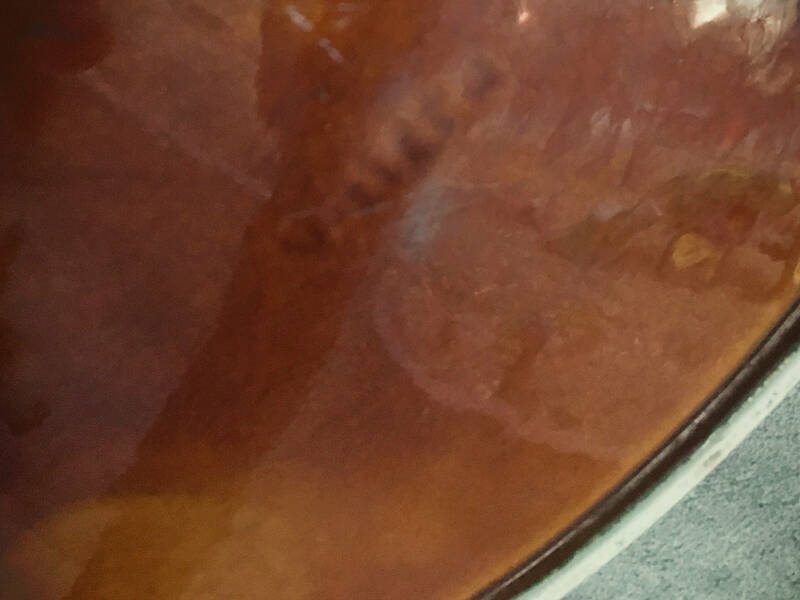 The hard-to-read stamp on the bottom appears to be Italy, although it is just as likely that this is French. 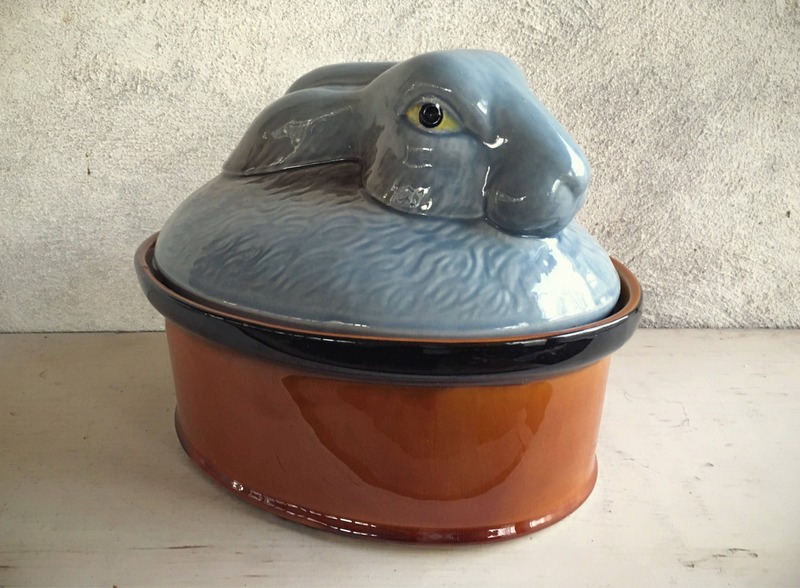 Would make for a unique Easter casserole dish! 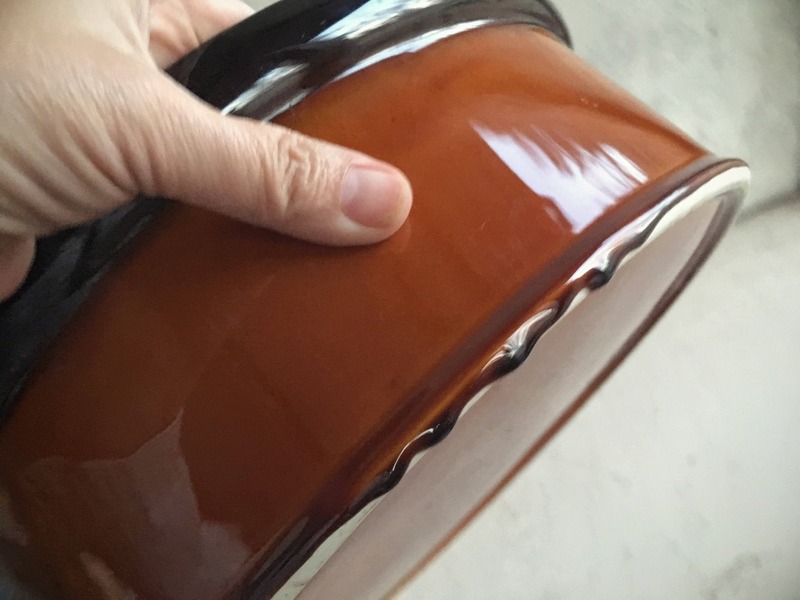 This piece is not small--the base dish measures 11-1/4" long by 8-1/2" wide and about 4" tall. 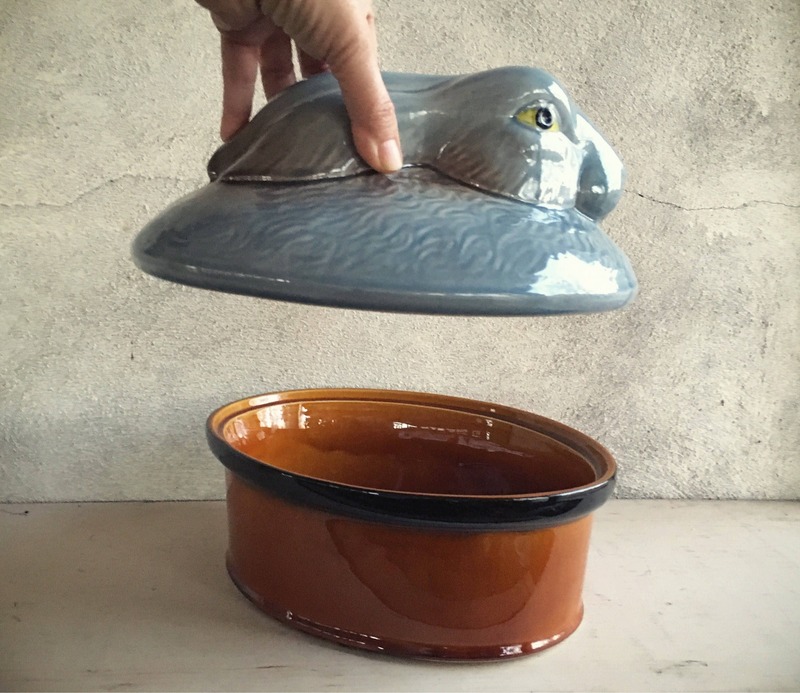 The rabbit lid adds another 4" or more in height. Is a heavy and substantial piece at nearly six pounds unpacked! In good vintage condition. 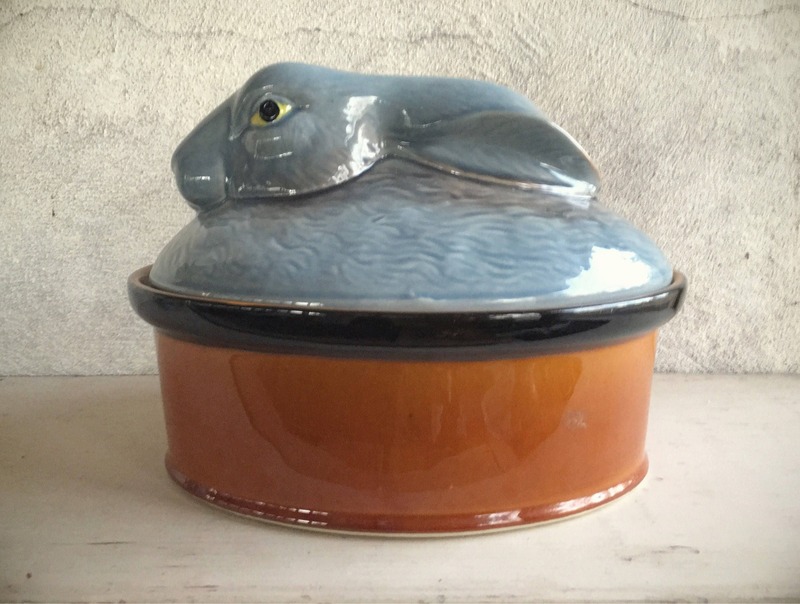 Because somebunny will love this incredible vintage piece. Excellent purchase, exactly as described and fantastic communication from seller, happy to recommend. Thank you.